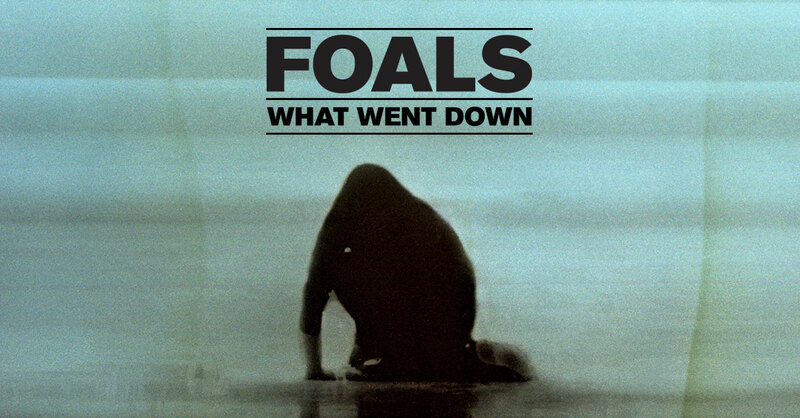 In 2013, Foals returned with an album that had guts and fire in it's lead single 'Inhaler'. No-one expected them to explore this harsher direction, after making two albums full of calculated indie riffs and well-spaced melodies (particularly on 'Total Life Forever'). However, in my opinion there last album was one of their worst as an album. So often these days we (the public, certainly not I) listen to singles and that is just about it. I am a firm believer in an album, and 'Holy Fire' just did not cut the mustard for me, but rather just presented it to me, rather unappealing. There were very much album tracks on there, destined to never be played again after the album tour - but carried along by gems such as 'Late Night', 'Moon' and 'Stepson'. This album is different. The first two tracks encapsulate the 'Inhaler' side of Foals and the traditional indie afrobeat style we love. Of the two lead tracks, 'What Went Down' has even more internal organs bulging for use than ever. Yannis has never sounded so passionate, so alive. It sounds like he is ready to stagedive out of your earphones and into your face. 'Mountain At My Gates' is a brilliant escape, a mini-holiday for your ear canals. However, and surprisingly, they have curbed their love for at times excessive reverb and delay. The track also doesn't hurtle along like 'My Number' did, something I didn't think I'd complain about - there's a certain level of restraint to this, with bass and drum verses, leaving room for Yannis' vocals. 'Birch Tree' is a fantastic track with excellent production - merging delicate indie math rock with what they have learnt over the years as a band. This should be what the Red Hot Chilli Peppers should be making, in terms of the opening blissful guitar tone. Yannis' vocals are more prominent, and the drums are mostly electronic - no need for explosive drums. The intensity drops for 'Give It All', a slow burner track that has vocal tracking guitar and shimmering synths before it teases to explode towards the end. Pulling the reigns in, they demonstrate a remarkable ability to not give what people would want or expect, but then exceed this with something all together more special. This is noticeably his strongest delivery lyrically, full of notations of devotion. I can't take the title seriously, but 'Albatross' is a palm-muted affair with a increasing rhythmic intensity that threatens to burst and cave in. Whilst it doesn't offer anything more than another tease, it leads brilliantly into 'Snake Oil'. The abstract sounds are created have a crawling bassline, that provides the background to Yannis' cries and groans. The vocals are raw, and are secondary to the screeching and perplexing sounds being created around him - reminiscent of 'Providence'. One thing that is consistent with this album is the strange fuzzy, analog and organic guitar effects being created, that is at it's strangest here. Strange, yet utterly needed and refreshing to here. This song is like an indie Led Zeppelin, and I make no apologies for making that statement. As the album reaches it's climax, 'Night Swimmers' is perhaps one of the weakest tracks so far. Whilst it's delayed guitar lead is pleasing, it doesn't and won't grab anyone who has heard this before. It's nothing new. I did not see coming the floor-filling potential of the rattling guitar and percussion that comes in, in the second half. Ordering the sound in before anyone enjoys it too much, Yannis hushes the song to a close. Queue 'London Thunder'. A track soaked in atmosphere and piano, and not much else. Guitar is used sparingly, like applying glossy varnish to an already impeccable piece of furniture. This song does not stand still though, and gently sways in a way that thunder definitely does not. Whilst 'Lonely Hunter' was rallied around as a potential single, it isn't particularly stand out as having this modern and produced quality. Considering the rest of the album is low-key after the initial run of the first two singles, this could be. Not quite anthemic, but the chorus is full to the brim and dripping of atmosphere. 'A Knife In The Ocean' has already been the talking point of the album, having been thrown around as their musical-opus. The track, of course, resulted from a jamming session whilst producer James Ford was on his break. He came back, and heard this and after some direction, this is the end of the album. I'll leave this delight for you to hear, it deserves that. Controlled, thudding and yet spacious. This is without doubt Foals' best album, and they present with the bold remark that they are ready to headline Reading and Leeds Fest; and you know what, they sure are ready.